Here is our standard reference page with links to many stories about our Corvair Colleges. These colleges are one of the truly unique advantages of using a Corvair engine. 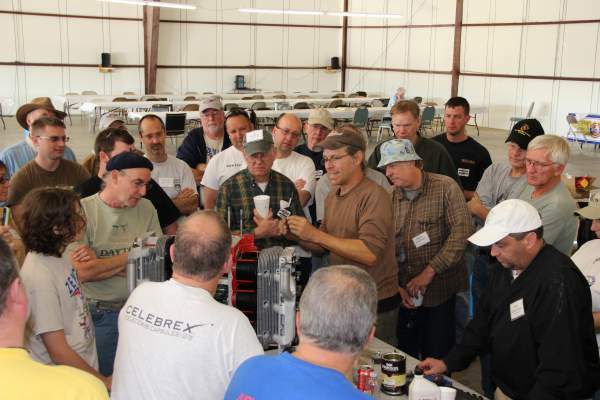 No other engine choice has anything like the training, support, and progress on your own engine, all in a fun social atmosphere as we do at the colleges. Add to this that we travel you your region, and the colleges are free. I like many kinds of engines, and I can understand why some people select engines like O-200s for their projects. But trust me, Continental Motors is not going to pack a trailer full of test equipment, staff it with an expert, drive to your area, hold a fun gathering, supervise your rebuild, test run it for you, maybe get you a demo flight in the same airframe your building, and send you home with new skills, an engine, and some new friends….all for free. Neither is Rotax, nor any of the other imports. Those companies are in the engine selling business, which is fine if your goal is to buy something. But if your goal is to learn and become the master of your power plant, then you need to find people who have a long proven track record of teaching aviators. To a consumer perspective, ‘support’ is a quickly answered email about pricing. To an aviators perspective ‘support’ is the type of learning and training and achievement you will see in 100s of photos below. Which one you value is determined by the depth of your goals in aviation. Above, Kevin Purtee and Shelley Tumino receiving The Cherry Grove Trophy at Barnwell (CC#24). They were the local hosts of CC#22 , CC#28 , CC#32, and CC#36. Corvair College #35 Barnwell builders video. Above, I give a hands on demonstration of setting the valve adjustment on a Corvair at CC#24. The college training is by hands on training on engines that builders own. We have demonstrations, test runs, flight demos, group conversation and commentary from successful flyers. Most people have their engine on hand, but many come with camera and notebook to absorb information. They are 3 day events, but the run from 8am until midnight. It is all done in a fun loose atmosphere where you can concentrate on any part of the process you wish. Many people think of tech seminars as a Power point presentation at the holiday inn banquet room. Our Colleges are on a very different level of reality. Pete Seeger, an honest man, dead at 94. Folk music is far from the material science of flight. However, music and flight are both art forms, and if they are to be done well, they require a particularly bare form of honesty. In an era where ‘truth’ has become a fully negotiable quantity, It is worth taking a moment to consider the life of a man who was true to himself and scrupulously honest, no matter what the cost. Above, Pete Seeger. You do not need to be a fan of folk music nor agree with his political views to respect this man. All that is required is the recognition that he was a life long activist who put himself in the arena as a champion of human rights. No matter what pressure was brought to bear on him, he did not fold nor compromise his values. If you examine many of the greatest aviators like Mitchell and Lindbergh, this is a common thread. In my writing on risk management, I point out that judgment is the #1 factor. It goes without saying that honest evaluation of oneself, the situation and the options is the absolute prerequisite of all good judgment. A staggering array of factors, peer pressure, ego, impatience, etc., work against the pilot to erode his honest evaluation. It is well worth studying the lives of people like Seeger as examples of non-negotiable honesty. My favorite era of aviation is 1927-41. I love the planes, personalities and spirit of that time. I love Pietenpols, yet I must reconcile this with the reality of times that my grandparents and parents lived in. The country was suffering from impoverishment and terrible prejudice then. People forget this or ignore it. Youtube films of old planes are often set to upbeat ragtime piano tunes. To temper such joviality, about once a year I watch the particularly cruel and honest film “Paper Moon” for a more realistic view of 1934 America. Beyond the aircraft of the 1930’s, I have a broad interest in the lives of Americans in the 1930s and into the 40s. Seeger’s songs spanned this era, and into the 1950s he wanted to draw people back to the purity of simple music. Along with Seeger’s music, two other pieces of American art form my emotional attachment to the era: Steinbeck’s novel “The Grapes of Wrath” and Aaron Copland’s composition “Appalachian Spring”. It is worth noting that all three of these men were considered “Subversives” with communist sympathies. In Seeger’s case, he directly thought of himself as a communist. Americans looking for cheap consumer goods don’t want to be bothered by such distinctions or by the fact our buying habits help keep 1.6 Billion human beings living under a jack boot. Appartheid in South Africa became untenable because of divestment; today we are doing the exact opposite with China. When I point out the irony of a person who allegedly believes in the sanctity of all human life selling I-Phones and I-Pads, products from the only country on earth with state mandated abortions, most people don’t care. However, Pete Seeger was the kind of person who actually strove to live by his convictions, not just the convenient ones. My father spent much of his life fighting against Communists is Asia. He was not there to stop Marx’s economic theory, he did not care if the poor of the world chose collective farming or workers wanted social reforms. He just recognized that political systems that don’t value individuals always degenerate to Gestapos, concentration camps, gulags and mass graves. My Father fought to stop the spread of these things. To my Father the term “Communist” is synonymous with “Totalitarian” because he is a realist and that is what he saw. Seeger referred to himself as a “communist”, noting the lower case. Fundamentally, as an artist, Seeger was an idealist. He detested the very idea of violent revolution, he was not against private property. He only wanted to remind people that corporations, especially ones big enough to control politicians, can not be trusted to care for the dignity, health and rights of individuals. The extent that you agree with that perspective is not important, the focus to me is that Seeger believed it, and nothing society threated him with would make him back down. Here is the aviation connection to honesty: The three forces that control flight are Physics, Gravity and Chemistry, and they are non-negotiable, period. You can not bargain with them; You can not talk your way out of breaking their laws, you can not get a plea bargain from them, and their convictions stick, and have no appeals process. The man convinced that the bargaining skills and spin doctoring that serve him in normal life can be useful in flight is headed for an ugly reckoning. Conversely, the honest man has nothing to fear from Physics, Gravity and Chemistry, they will be his unfailing allies. Many people today are obsessed with ‘gaming the system’, getting an overview but no details, finding a short cut, getting an ‘app’ for something rather than an understanding of it, etc. At their root, these things are intellectually dishonest, not to others, but they are really cheating the individual who engages in them. Our Grandparents knew this, but it is considered ‘quaint’ to think that way now. To enter aviation without understanding that “The same ideas that get you ahead in ‘life’ get you dead in aviation” is the very definition of risk. The single best antidote for that mentality is close study and emulation of men like Seeger, who were scrupulously honest, no matter what the cost. 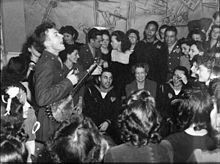 Above, Pete Seeger in the Army in WWII, giving a ground breaking non-segregated USO show. Eleanor Roosevelt is seated in the middle. Seeger’s quote: “I want to turn the clock back to when people lived in small villages and took care of each other.” It is a feeling I have understood many times in my life, yet will likely know little of, with the exception of small groups of aviators, whom I have seen treat each other in that spirit. In a nutshell, For a long time, I wanted to have a small cabin on a remote airstrip where I could go and be in a very peaceful setting. I spent a lot of hours thinking about and planning this. Along the way I realized that these hours helped refine my own personal definition of what was ‘good’ in flying. Many years ago I found the airstrip I wanted to put it on. The fact it was over 1,000 miles from my house did not matter. This was not about convenience or low cost lodging on trips, it was about having a personal refuge, an oasis of sorts. Phil Bolger, the nautical engineer, taught me that it doesn’t matter that elegant sailboats are at sea way less than 1% of their lives; the important point is the boats are “at sea” in the minds and imaginations of their owners 1,000 times more often, and they provide nearly as much sanity by that method. Even though I knew that I would not make it there frequently, the setting was important. If you are new to aviation and fly out of your county airport it may be hard to imagine airports without chain link fences, airports that are quiet and peaceful, but know that there are literally hundreds of them out there. Aviation organizations like to project fears of ‘user fees’ and the FAA restricting access by small planes to national airports. This is actually the concern of wealthy elites who want to fly their $20 million dollar, six seat jet to an 8am landing slot at JFK or O’Hare. If you want to be a good stick and rudder pilot and fly to beautiful places, understand that your dreams are not under siege, and right now you have a lifetime supply of fantastic little airports awaiting you that are nothing like the restrictive elements of a gated and towered airport. It’s OK to learn to fly there, but use the skills you develop to go to places that Lindbergh would have loved. Part#1 told about my Little Green Barn, and shared some personal things about people who had stayed there. Although I didn’t name anyone, I am sure that people who read my website might figure out who some of them were. The Barn had a guest log book and I shared some of the things written in it. I doubt the people in the story would even care if I used their full names, but when I got up in the morning I re-read the story in daylight and decided to take it off the site. About 200 people read it before I did this, and that’s OK, but I thought of the little place as sacred, and it seemed wrong to have it as a lead story on our website to have people who know little or nothing about my friends, cares and values wade though. Some day I will put the complete story in a book or something. Here is the other part of the story: The Barn is no longer there. My friend’s airstrip was sold two years ago. The new owners have a put up a home there, and the things that happened in that setting can’t be the same. Only a handful of people made it to the little barn. This bothered some people to hear, but really, if you are 51 years old like me, you cannot go back and visit the setting of 95% of the best moments in your life. Places change, people pass and life rolls forward. All you get to keep are the treasured memories, a few photos, and the ability to convince yourself that there are other good times ahead, that you can make these things happen. This motivated me to write. This summer I want to scout around for the location of the next “Little Green Barn.” This doesn’t just mean looking at maps, it means listening to stories of other aviators about places stumbled upon, dreams they have and people they know. Something of a treasure hunt where the trip is more important that the destination. Part of this was to say that some of my friends have this same idea in the back of their mind. They are not buying material for their barn yet, but they are thinking about where it will be, the kind of sanctuary they will make it, even things about how it will feel to arrive after a few months away and read the log book to find the appreciative words of fellow aviators, some they have known for years, others they will never meet. “If you tell people outside of aviation that “a plane can take you a lot of places”, they most often think of it as some sort of alternative form of a car. What is far harder to explain to them is how a plane is the ideal vehicle to travel to a different state, not a different geographical one, but a different mental state. I have tried telling people how you can go flying for the last 30 minutes of the day, stare at the sky in awe, and feel the distinct division between you and the plane fading. As the sun sinks, you can quietly come down the sliding board and roll out on the grass and come to a halt. I can do this fluidly and gently roll into my front yard. This always gives me the very powerful feeling I have just been somewhere else. The timer on the dash may record the exact number of minutes aloft, but it seems untrustworthy. The correct answer seems to be that I have been gone months not minutes, that I have been to a place thousands of miles away not thousands of feet away. It is just not possible to explain to people that a plane is the only vehicle that can transport you like that. I have tried to explain that it is much like looking up from the last page of an incredibly good book, and finding that you are sitting in a chair with a book in your hands, not in the world described by the author’s words. Good writing, really good writing, can give you the impression you have been to and seen things you have not. It can unstick you from your immediate setting and transport you to a different place, or even a different year. Planes and flying are the only things I have found in the physical world that have the power to do the same thing with an hour of your life. Aloft, alone, just you the plane and the sky, and you become detached from the ground. With no radios, there is no connection. Half of your brain is keeping track of the minutes and the navigation, and that half will run the whole experience if you let it. But the other side of your brain, the side that absorbs the entire experience, the part that drinks in everything that the senses provide, is also there. It is this second half of the brain that takes you to places beyond the physical sense. In a really simple plane, alone in the sky, when you trust your work and basic flying skills enough to let go of your analytical side, they you can think, see and feel with the other half of your brain in a way that isn’t possible on the ground. You can squint your eyes, and it doesn’t matter what year it is anymore, or where you thought you needed to be. Don’t mistake this for being dreamy or not alert; to the contrary, it is the analytical part of you brain that gets absorbed in minutia and misses the situational awareness of the moment. Consider that most great fighter pilots report having no sense of time in dogfights, proof they flew the whole event on the second half of their brain. You can exercise the same effect in a peaceful setting also. Writing, planes, simple flight and the second half of your mind can take you many places, locations that are just not accessible by other means. They can take to both places you need to go, and places you should have been, and maybe even places that should have been. If you have watched the great Waldo Pepper 50 times, go watch it once more and think about that last sentence. “A Streetcar Named Desire was not a film about public transportation. *” and Waldo Pepper was not a movie about barnstormers. 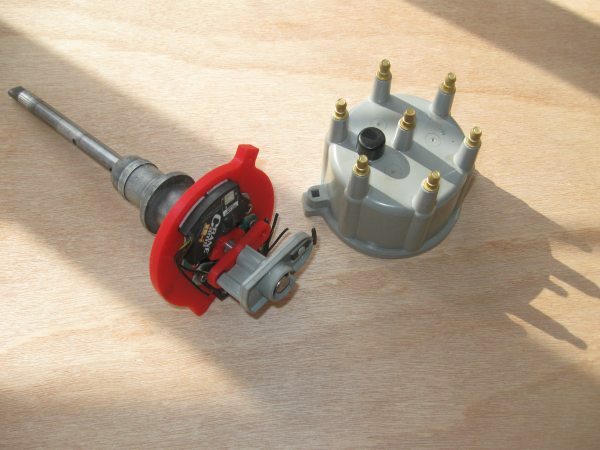 Motor mounts are popular items to pick up at Colleges because they have very expensive shipping, which we can save builders if the pick up the mount in person. While I am chipping away at regular orders now, Vern has available time to come over and weld a few mounts before CC#28. However, we are coming down to the wire on time for this, as the college is about 40 days away. If you need a mount, read the information and order one off our site, we will bring it. If you have other questions, just ask.-ww. Below, a photo of Vern and I outside my hangar. 100% of all the welded products we sell are done by the two of us. Ask us any question on welding you like, we only have 76 years of personal, first hand, welding experience between us. If you got into experimental aviation just to buy stuff, then any salesman will do just fine for you. If you got into experimental aviation to learn, develop your own skills and craftsmanship and make things with your own hands, then who you work with really matters. You can’t become and old school homebuilder / motor head by buying things from salesmen. They have nothing to teach you. While I will be very glad to sell you a motor mount, I am very glad to share all the detailed information on how it was made, and the materials and processes. Yes, I sell things, but first and foremost, I am a homebuilder with a mission to share what we have learned.